I know that many book lovers consider it to be a cardinal sin to watch the screen adaptation before reading the book. However this post is not about that. It’s really about books I intentionally skipped (I am sure this sounds worse, but hear me out) for watching their screen adaptations, either because I just couldn’t continue reading them, or never intended to read them in the first place. Of-course there are also some ‘accidents’ along the way, where I watch a movie, without realizing that it was a book adaptation (such oversight truly breaks my heart), but that is a post for another day. This book revolves around Samantha, who has the seemingly perfect high school life. She is beautiful, and popular, is dating her dream guy (or who she thinks is her dream guy, anyway), and has a lovely family too. That is until one night, when she gets into a car accident, which kills her, but then she magically wakes up in her own bed, and relives her last day, over and over again. When I first read the blurb, I felt this story was very much like one of those Hallmark movies we see around Christmas time, where a person relives a day over and over again, until he/she sets some thing right, and the movie essentially chronicles this journey of self-discovery, always ending with a happily ever after. And while this book/movie definitely has the same vibe, it’s also very different, which you will realize if and when you actually read it/see it, so don’t discount it just on that account. So the story, I definitely recommend, but I don’t really recommend the book, and would suggest you go with the movie instead. Because I had given this book a shot, before I decided to skip it and watch the movie, but I just couldn’t read beyond the first 50 pages, and there were a couple of reasons for this. Firstly, like I said, the plot was essentially about reliving a single day over and over again, and this book really got into a LOT of detail, which made it a super tedious read. And moreover, I don’t particularly like to read about shallow, popular, irresponsible, life of the party, mean girls, and Samantha & her girl friends, were just that. Having said that, I was still curious about the plot & how it all ends up, so I decided to check out the movie, which turned to be a great decision. For starters, Samantha was more likable in the screen adaptation, which was a good thing, as now I actually cared about whether she lived or died (which is kind of important in this case 😛 ). Also, the repetition wasn’t as tedious to watch, as it was to read, as things moved along pretty quickly. However, without giving out any spoilers, the only thing I can safely say is I still have mixed feelings about the ending. I did not like the way it ended (the book or the movie), but I have a niggling suspicion that I wouldn’t have been completely satisfied with the ending no matter what they chose to do. 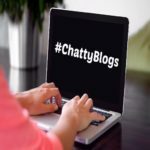 If you’ve followed my blog for any length of time, you know that I have a love-hate relationship with Nicholas Sparks. I really can’t get into his books (even though I do love romances), but I seem to enjoy most of the movie adaptations based on those books. For instance with his debut The Notebook – I read the book & then saw the movie adaptation, and it’s really rare that I say this, but the movie was light years better than the book. So ever since then, at-least with Nicholas Sparks stories, I always go with the movie over the book, and so far I have never regretted it. Of-course there are times when I really like the movie, that I wonder how the book must have been like, and one such movie is The Choice. I recently saw the movie, and really liked it, especially the story. It was sweet and romantic, and also very thought-provoking. A great pick for a cozy night in. My only grouse was with the female lead, not the actor, but the character – Gabby. I just could not get that girl, why she did the things she did, or even her thought process really. To give you an example, there is a point in the movie, where Gabby cheats on her boyfriend (when he is away) to be with Travis (the male lead), and then when her boyfriend is back, she is uncertain about whether she really wants to be with Travis. And in this case, the ‘conflict’ was simply not convincing enough, so she just came across as a self-centered bimbette, who really did not deserve to be with either guy. That’s all from my end, folks. I would love to hear from you guys. Have you seen either movie? Or read the books? How did you find them? Especially The Choice – is the adaptation true to the book? Do share. I think I’ll definitely watch Before I Fall then. Sparks really isn’t my kind of author but the former sounds like an interesting read. 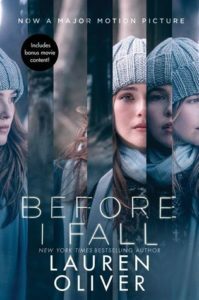 Before I Fall is an interesting concept, but in the book version, it got overly repetitive for me. But then I guess sometimes it’s just about timing. I get what you mean. Some books are difficult to read. I started with Lord of the Rings. The book is surely more magical than the movie. It is awesome. But, then after about 300 or so pages, I could not read any more of fantasy. I ditched the book and watched the movie. Atleast the book helped me understand what is going on in the movie. Another book I stopped reading was Schindler’s List. The language was old and heavy. But, of course the movie is superb. I haven’t ever tried reading LOTR books. I have been told they are magical, but I’ve also been told they are LONNNGG, which is why I always felt intimidated to actually get started on them. I love the movies though, and those movies I can watch repeatedly. Why haven’t I heard of these books or movies! Well, anyways, now that I have, I’ll for the movies first. I really don’t mind seeing the movies first. But, yes, I do believe that more often than not, books are far better than screen adaptations. True, and both these movies would be great picks, as they are pretty good in their screen versions as well (in different ways though). I don’t mind seeing the movie before reading the book. But I do believe that more often than not, books are far better than movie adaptations. For the two you mention, I’m going to see the movies first. Oh, I couldn’t even finish ‘The Notebook’ (both book & the movie). Will watch these. Similarly, I had (accidentally) watched Twilight (Couldn’t finish though). I don’t like Robert Pattinson. That’s why I didn’t read the book. Didn’t want his strange, expressionless face floating in my mind while I read. You don’t see screen adaptations of the books you love? :O I know most adaptations don’t make the mark, but there are also some absolutely amazing ones, like the Harry Potter screen adaptations, and the BBC versions of the British classics. I haven’t seen any of these movies or read those books. Sometimes, the actors playing the character make a difference between book and screen adaptation. Iam not biased on books over screen adaptations. Definitely a few stories are good to see so that we can relate more to them. True. Some stories unfold better on paper, and some on screen. And then there are some stories that are simply magical in any and every format or medium. I get why you would do this. Sometimes the films are better. Like Lata said, I couldn’t finish LOTR but did watch the film. Also, I’m not too fond of Sparks. I didn’t even like the film Notebook. Something to do with the actors maybe. Before I fall sounds interesting for the exact reason that you mentioned – that it’s an interesting idea. Oh yes, Before I Fall highlighted an interesting what if situation – I’d recommend the movie over the book, but who knows, you might find the book interesting too. I was in the middle of a slump when I was trying to read it, and so I’m possibly biased. Oh I SO know what you mean! I actually watched Gone Girl first not realising it’s a book and LOVED the movie. Then I wanted to start the book but people kept telling me the movie is better. Now I am torn. As for the first movie you’ve mentioned, it sounds a bit like Groundhog Day, the one with Bill Murray, remember? I love that film, if nothing else for its quirky replaying of the same day. Now I am curious about the movie! Nicholas Sparks- again- I haven’t read ANY of his books but LOVED the Notebook. Not sure if/when I will read him. Want to watch another movie though, so let’s see how that plays out. Thank you so much, Shy. 🙂 And oh yes, I’ve watched that movie, and I quite liked it. This is pretty much the same concept, but a very different take on it. 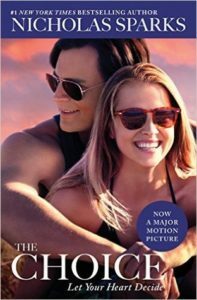 As far as Nicholas Sparks’ books, I’ve completely given up on them – I only bother to check out the movies, and those I seem to like. I have watched many movies without reading the books. Sometimes it happens unintentionally. Sometimes it is for the better when the book is too complex or rambles on and on. Enjoyed reading your rambling. Just like Naba, I haven’t heard of these books before too! It rarely happens where a movie is better than the book. For me that was the case with ‘The Devil Wears Prada’! Thank you for letting me know about these movies, will give them a watch sometime soon. I haven’t read the book, but I loved the movie ‘The Devil Wears Prada’, good to know that I’m not missing out on anything by skipping the book.